1 Heat oven to 350°F. Spray bottom of 13x9-inch pan with cooking spray. Make brownie batter as directed on box for cakelike brownies. Stir in 1 cup crushed malted milk balls. Spread in pan. 2 Bake 26 to 28 minutes or until toothpick inserted 2 inches from side of pan comes out almost clean. Cool completely, about 1 hour 30 minutes. 3 In large bowl, beat Frosting ingredients with electric mixer on medium speed until smooth and spreadable. Spread on top of cooled brownie. 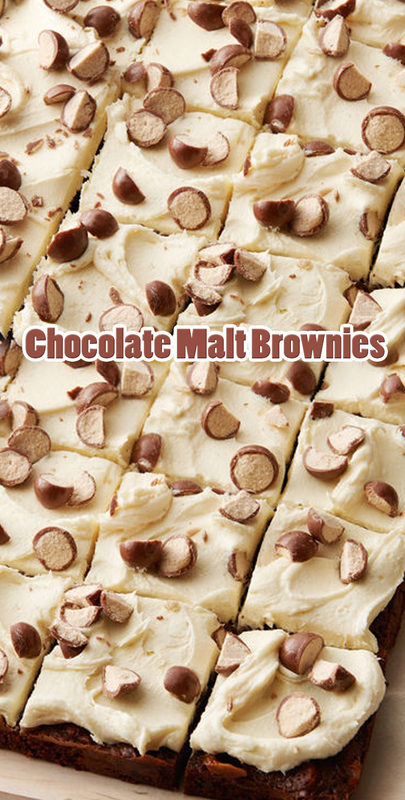 Sprinkle with 1 cup crushed malted milk balls. Cut into 6 rows by 4 rows. Store loosely covered at room temperature.